Travel has been a great experience for many people. So much so that the number of tourists around the world has increased in the past few years. According to the World Tourism Organization (WTO), approximately 1.1 billion people traveled in 2014, with tourism growing by almost 5 percent. The volume of money circulating also shows the size of this market. Only in Brazil, the amount reached 492 billion reais among direct and indirect activities related to travel and tourism. In 2014, the country was the tenth largest economy in the world as it relates to tourism, and the second in Latin America (behind Mexico). Worldwide, the amount of money spent on tourism reached 7.6 trillion dollars, according to research conducted by the World Travel and Tourism Council (WTTC). One of the factors that encourage many people to pick up their luggage and travel is technology. Many tourists have planned their travel by visiting blogs, websites and reservation applications (apps). These channels are revolutionizing the way people organize travel, whether it is leisure or business. Without leaving the comfort of their home, consumers can buy tickets, make hotel and airline reservations and avoid long lines and busy traffic. With all this development, the travel technology market still has a lot of room for expansion and it is in constant search for innovation. The challenge for developers and companies in the industry is how to improve and enhance the traveler’s experience. 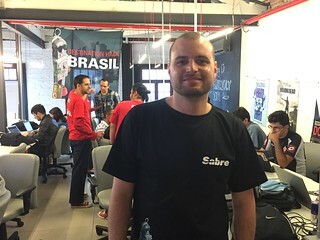 To encourage new ideas and entrepreneurial activities in this segment, the Texas-based company, Sabre, hosted this weekend the #Destination Hack Brasil. 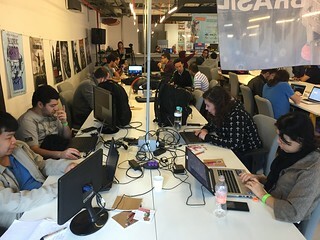 The first developing competition event focused on travel and tourism was part of the São Paulo Tech Week 2015, and it ran from November 6 through November 8 at the Distrito Venture Building Campus in São Paulo. Also called hackathon, the programming marathon invited developers and engineers to develop software and create applications serving mobile and wearable devices (such as smart phones and watches). The event received about 120 applications and participants were challenged to develop solutions in a period of 26 hours. 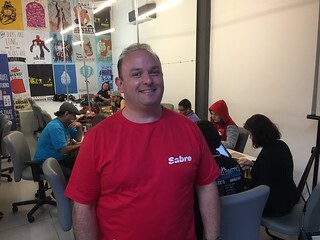 Organizers divided the participants in teams of up to five people, who received technical support from Sabre DV Studio platform, which offered the necessary tools throughout the event. "Developers had access to APIs - application programming interfaces – that enhanced their access to information and reduced technical difficulties that would have been hard to overcome otherwise. We worked to offer enhanced technology that can open up possibilities and revolutionize the travel and tourism experience worldwide,” explained Alexandre Xavier, Sabre product manager. 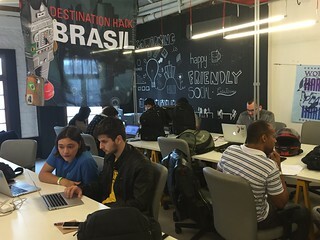 In an effort to unite creativity and technology, and leveraging Brazil’s vocation for innovation and entrepreneurship, #DestinationHack Brasil offered a unique experience for developers in Latin America. “Brazilians are able to adjust according to the needs of the market. We often have to reinvent ourselves and to think outside of the box in order to expand our businesses and create a new travel experience for our consumers,” said Alexandre Cordeiro, marketing manager at Sabre. The event ended on Sunday, November 8, and the winners will be announced this week. About R$10.000,00 will be distributed among the winners of the best work. Five people from different areas of travel and tourism formed the panel of judges. It is expected that participants at the #DestinationHack Brasil developed an idea that transforms the lives and enhances the experience of millions of travelers around the world.